Since we're at Semenyih, thought of going to Kajang to visit this old town and reminiscence some of my childhood memories here. My family 'almost' going to move and stay at Kajang when I was very little that time. DaddyCharlie bought a house there (corner lot some more!) and we visit that house sooooo often most of the topics between my parents are 'how to decorate the house'. But of course, this didn't happen. 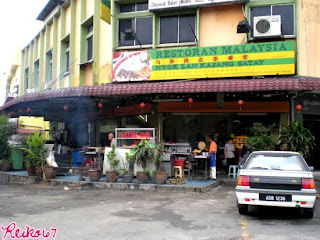 The location was a bit far for my dad who is working somewhere around Cheras, Tmn Segar that time. And nope, no highway like nowadays. It'll be extremely exhausted for him to go and back to Kajang. So, they decided to rent the house to somebody else, and then, sold the house after the rental contract ended. And yes, funnily, we went to see our 'used to be' house on that day. Oh gosh you don't know how pretty it is the present owner renovate it till like. I guess the owner likes the house very much. I'm glad the house wasn't abandoned and being treated like haunted house or something. LOL! 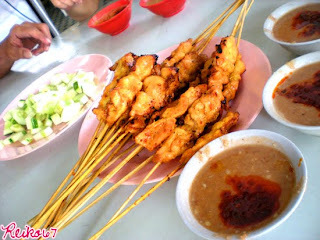 After looking at the house, we decided to have Satay Kajang as our light lunch. (Still full because ate a lot during the 'Ong Suah'. LOL!) Lots of one way route in Kajang nowadays. Almost lost the way and unable to get to the shop that we wanna go. We ordered 20 sticks of chicken, 5 sticks of ducks and 5 sticks of fishes. Guess which tasted the BEST!? The answer is: DUCK!!!! 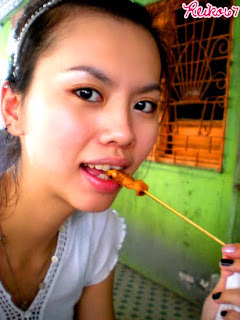 The meat is so juicy and tender, and no smelly taste of duck meat which I hate, but RM1.10 per stick! Mad expensive!!! 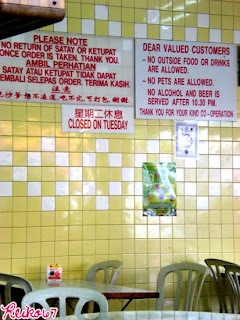 If you wanna have satay at this restaurant, remember to bring wet tissues. The satay sticks is going to be all sticky. I remembered last time when I had satay here, the sticks are sticky, and a bit dark, sorta like they reuse the sticks or something... 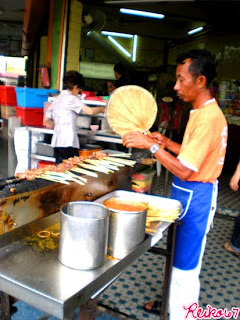 But I guess their hygienic in handling satay sticks has improved - No more dark, burnt sticks, only sticky sticks. Haha. 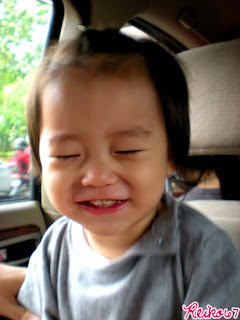 your baby is so cute!!! 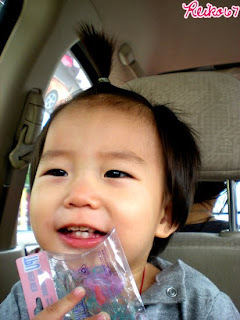 pls enter more baby contest! 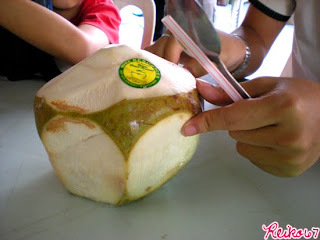 Yeah~ Surprisingly tasty... and surprisingly expensive. LOL! Ah moi already hahaha. 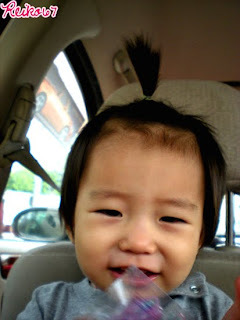 Gonna bring him to barber shop. 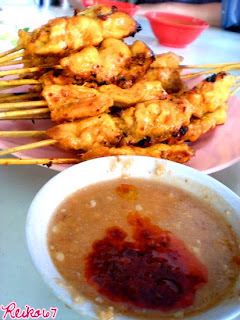 Maybe you can try the satay kajang at Melawati Utama. Their satay is nice!